This is a beautiful rose. 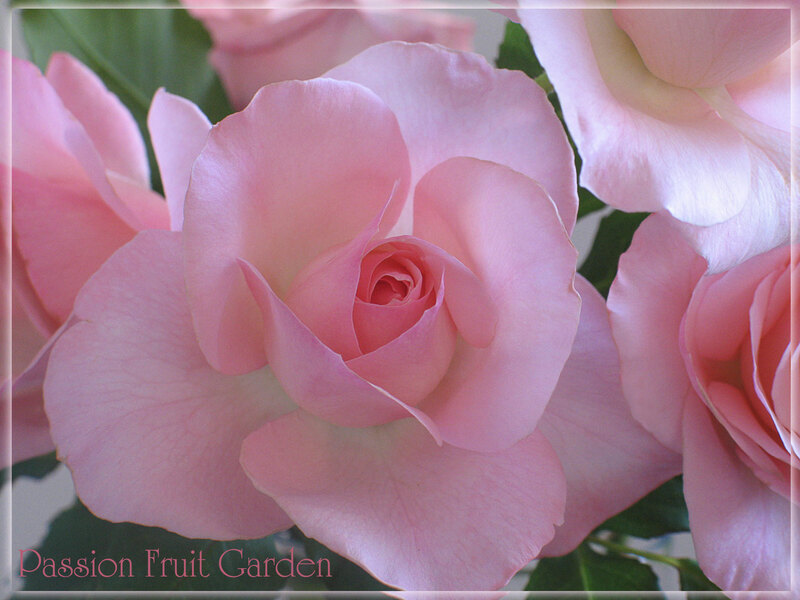 I just love the soft rose-pink flowers but, geez, it is hard to find much information on it. What I do know is: this Summer Breeze, which was bred by Meilland (France) and introduced in 1987, should not be confused with the Kordes’ Summer Breeze which was introduced in 2000. The Kordes’ Summer Breeze is a vigorous climbing rose which has bright pink single flowers with pale cream centres. This Summer Breeze is a Floribunda rose. 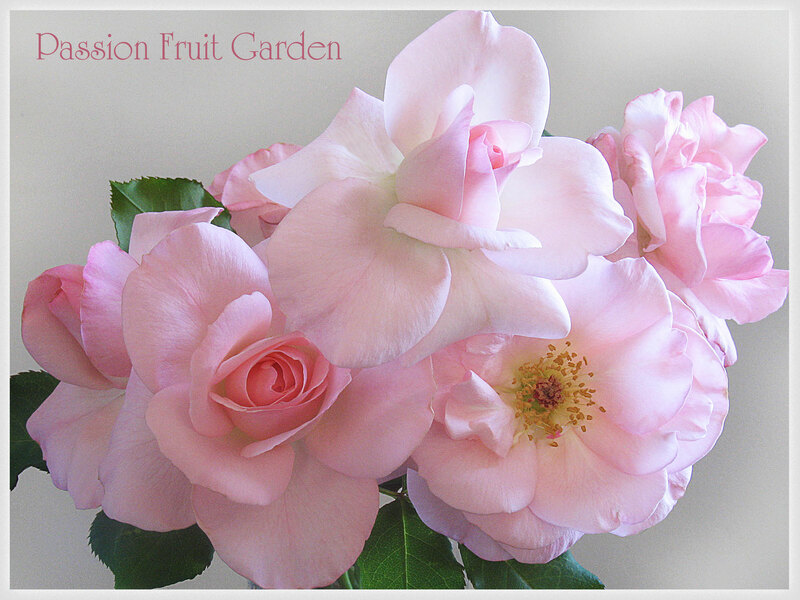 It has semi double, cupped, soft rose-pink blooms. The blooms have curved, ruffled edges which, when fully open, show off lovely gold stamens. The blooms are produced in clusters. They have 20 petals and last a long time without fading. Flower production is very high and the repeat bloom is quick. There is a pleasant fragrance. The bush is very strong. It is a low, spreading plant. The glossy, mid green foliage is extremely plentiful and free from disease. Summer Breeze is said to be perfect as a standard. It would make a nice low hedge and would be great mixed with bulbs and perennials. This entry was posted in Bush Rose, Floribunda Roses, Modern Garden Roses, Rose of the week and tagged Summer Breeze 1987 by Glenda. Bookmark the permalink. Another beauty Glenda. This one looks so delicate. Hi Diane. I do love a soft rose-pink rose.